Theater Guild and Music Dept. production! As the RHS Drama Club, Theatre Guild and newer theatre members team up for this weekend’s production of A Chorus Line, we are eager to learn more about the production itself. A Chorus Line is a musical that follows the auditions that a group of dancers, singers and actors have to go through in order to get on the cast for a show. Throughout this casting progress, we will also learn more about each character as they either give us a short monologue or song to add depth to their characters. As we in the audience learn more about the play’s cast’s difficulties in learning the choreography and musical numbers behind the play, we will also watch our own Rockland students become more adept with their performances and the challenges that go along with them. A Chorus Line will take place on April 29 and 30 at 7pm in the auditorium. 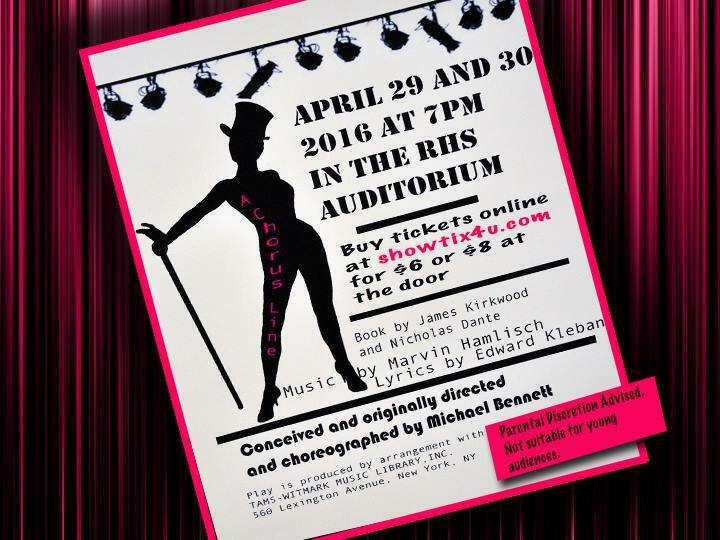 Come out to see the cast shine and give the audience their all in A Chorus Line. You can get tickets online at showtix4u.com for $6 or $8 at the door. A Week To Be Positive! 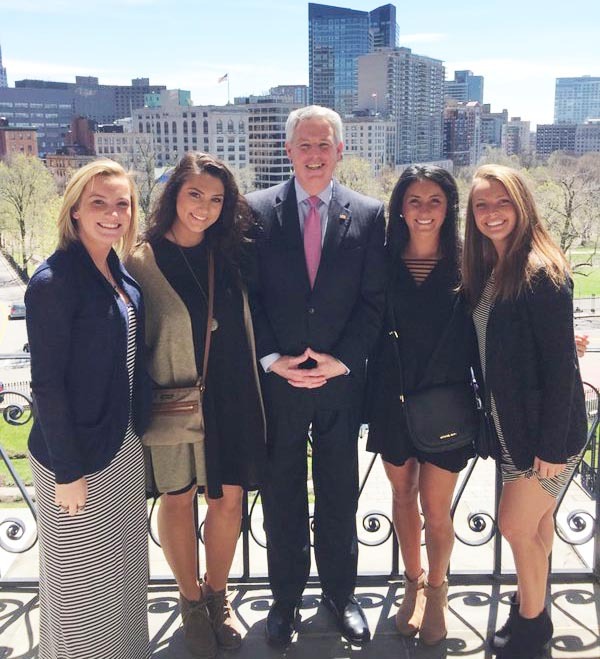 The National Honor Society has named this week, April 25-29, a week to promote positivity around Rockland High School and beyond. Friday will be Rockland Pride Day. Click on each of the posters below to see the special instructions for each day! The Rockland Public Schools Arts Festival held last night featured displays of creativity in several different areas. The visual arts were well represented with displays of drawings, paintings, photography and 3D designs. Displays included work from pre-school to elementary to middle school and high school, including AP Portfolio collections of senior art students. Technology Education was represented with exhibits that included woodworking projects, and computer drawings from the Auto Cad and Chief Architecture classes. 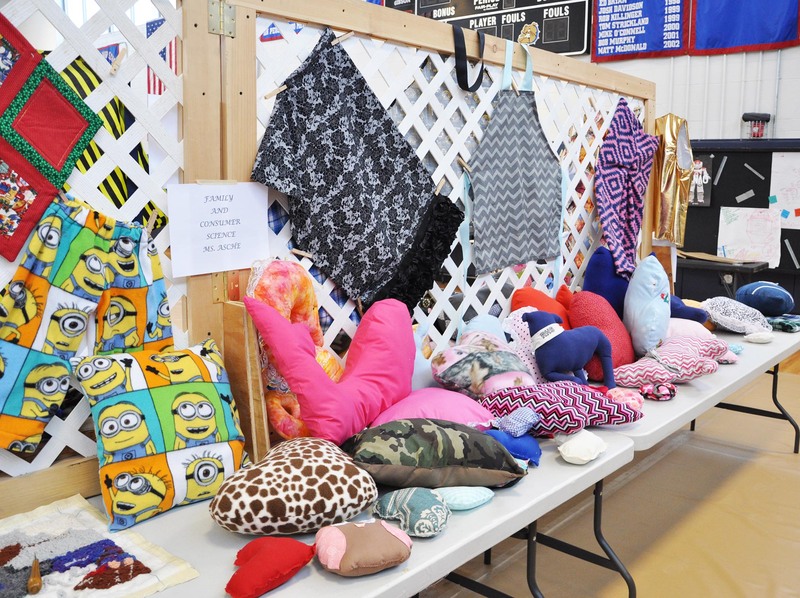 The Family and Consumer Science classes displayed a variety of sewing projects including quilts, fleece blankets and pillows. 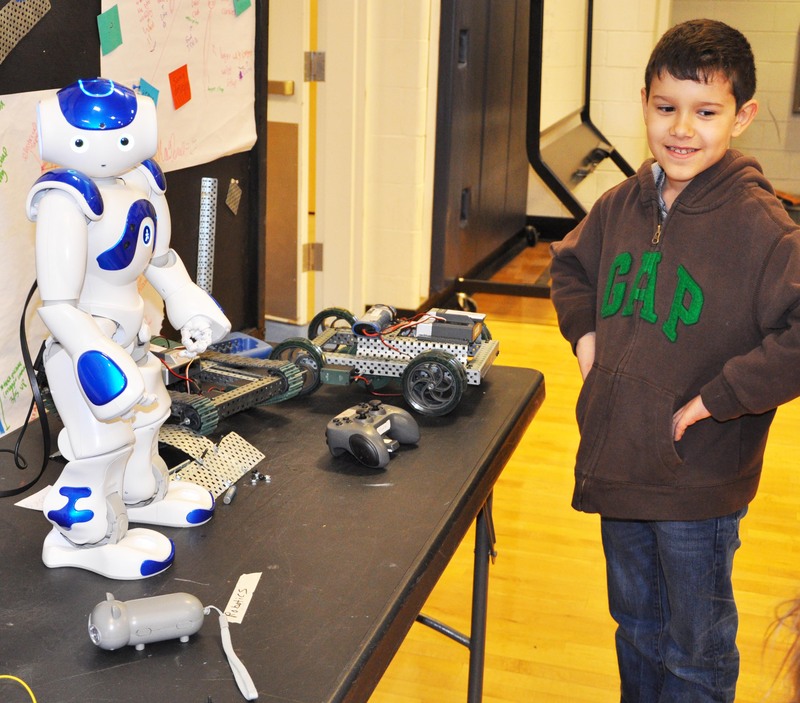 Esten School 2nd grader Gus Noguera interacts with NAO the robot at the Arts Festival. Veritas photo. 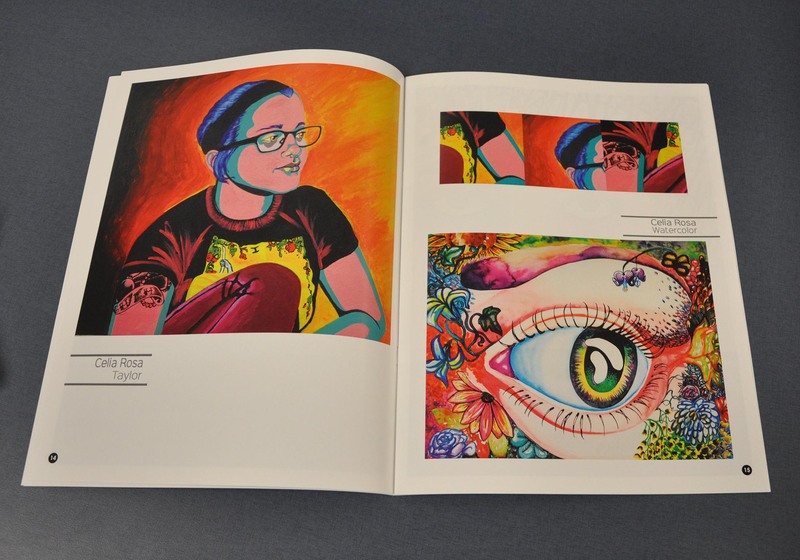 Images Magazine, the Rockland High School Art and Literary Magazine, was on sale at the event. The magazine also has a website that you can access here. Below is our photo gallery! Yousra Bendarkawi, Art III: left Celeb Portrait in pastel, pencil and right: Pen and Ink Drawing. Senior Celia Rosa’s Bulldog and activity drawing. Grade 7 Geometrics: Circles, Patterns, Colors. Mrs. Ray, Mrs. Leander and Mrs. Caprio’s 1st graders’ colorful paintings. “It’s all in a Name” by Mrs. Caliri and Mrs. Jagiela’s Grade 5 students. Grade 2 Jefferson School: Ms. Marzalek and Mrs. Sheridan’s classes’ hand on projects made them stars! 2nd grader Gus interacts with NAO the robot at the Arts Festival. Veritas photo. 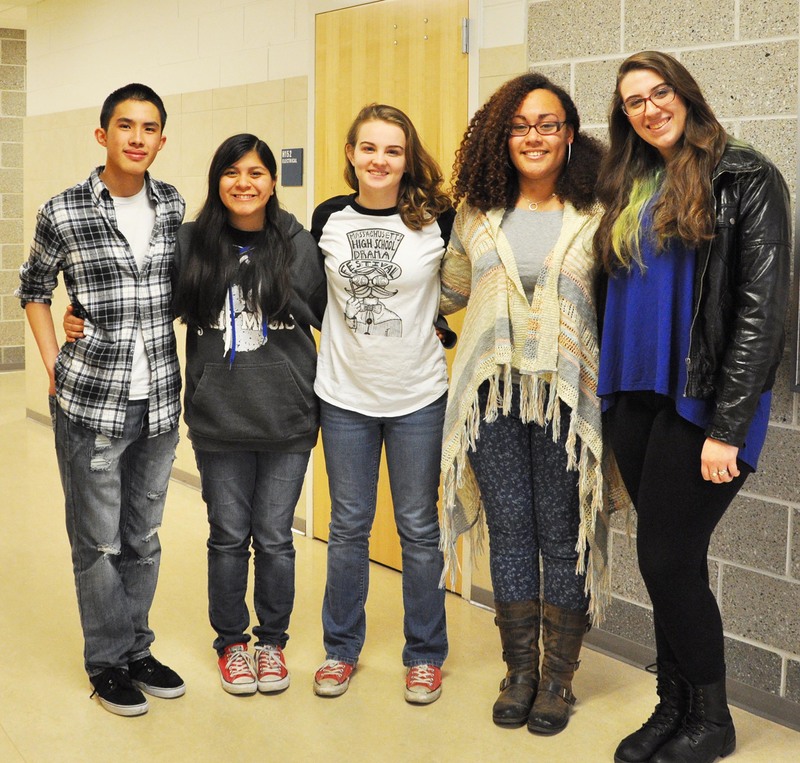 Rockland High School students, Leah DeCecco, Lauren Illes, Rebekah Panaro, Rebeca Portela, and Sean Vo represented Rockland High School at the Southeastern Massachusetts Bandmasters Association (SEMSBA) Festival held on Friday, April 8 and Saturday, April 9 at Milton High School. The festival is organized into four groups that rehearsed together on Friday and then took part in concerts on Saturday that were open to the public. 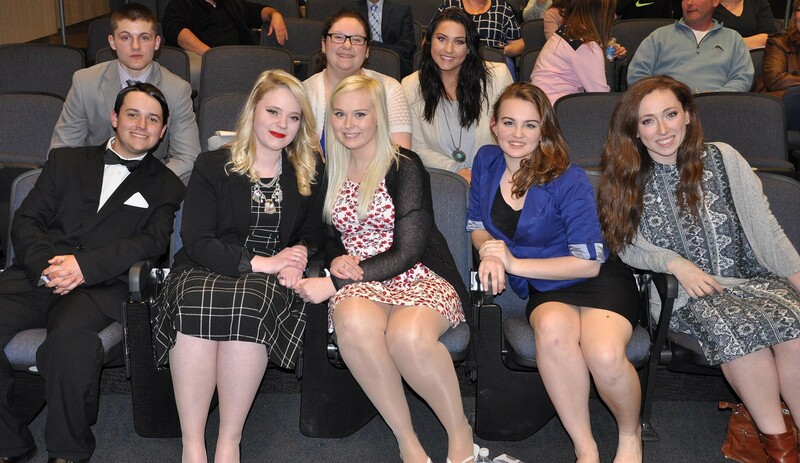 SEMSBA is a festival that students must audition for. 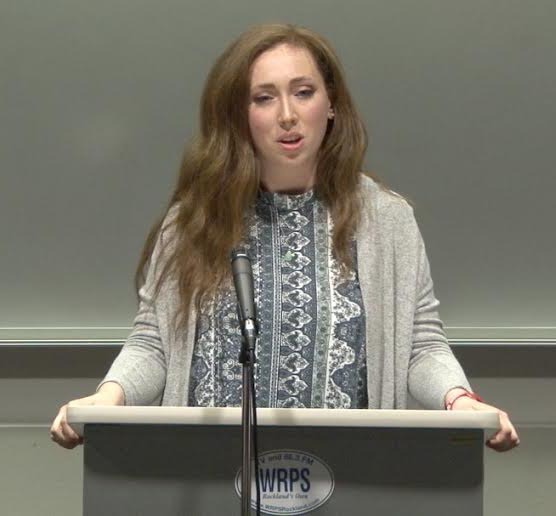 RHS senior Leah DeCecco talked about her experience in this festival and if she would recommend it to her fellow music peers. DeCecco said that the festival went “excellent” for her. She also said that it was her “last festival of high school,” and that “it was an incredibly emotional and wonderful experience.” She said that she “will truly never forget it,” and that she would “10 out of 10” recommend SEMSBA to fellow music peers. 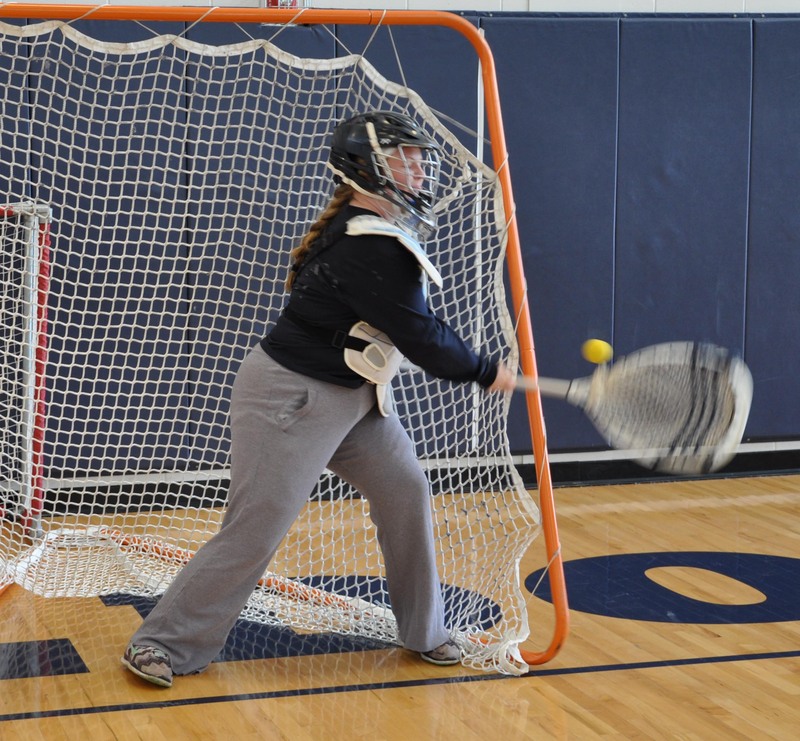 The girls lacrosse team went to varsity status this year for the first time, after competing as a sub-varsity team the last two years. 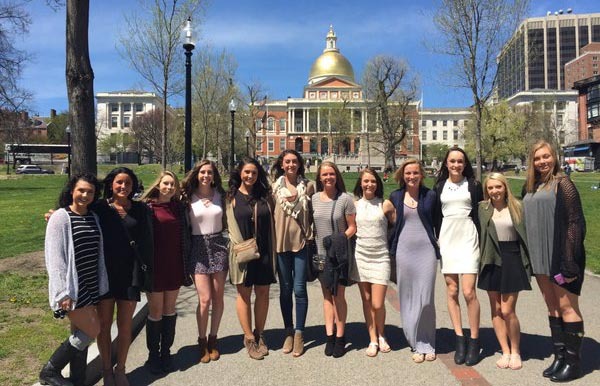 Since they will be underdogs against more established teams, it is not a surprise that they have lost their first three games to Norton, Cohasset and Pembroke. Senior captain Caitlin Yannizzi provided insight on these losses. Yannizzi admits the first game against Norton was discouraging, but says the Cohasset game was uplifting. Coach Lauren Rizzotti has some input on these losses as well. 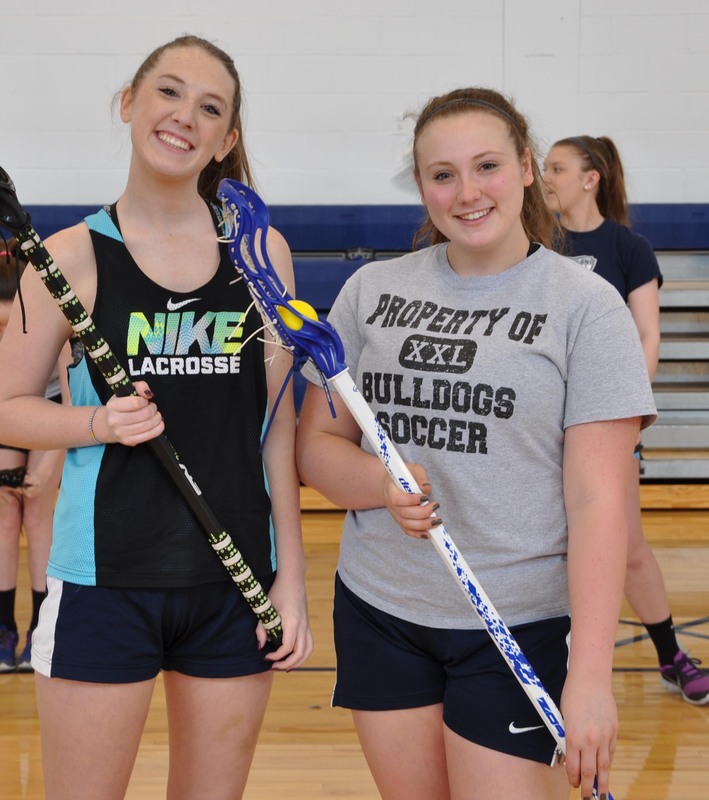 The girls were to face last year’s state champions, Norwell, today at home with a start time of 4 o’clock, but the game has been postponed due to lack of officials according to the Norwell Athletic Department.